On Mar. 22, 2019, the Water Institute will be hosting its World Water Day event on UWaterloo Campus. This event runs from 9 a.m. to 4:30 p.m. at the STC building. Registration is required to attend. The goal of the event is to address reasons for the current water crisis. Through a full day of activities exploring viable solutions for marginalized people living without safe water, the participants will join thousands from around the world in solidarity by supporting and amplifying the issue. 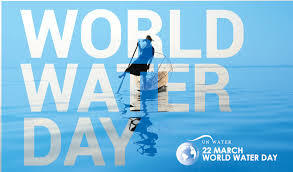 This year’s UN-Water World Water Day theme focuses on marginalized groups — women, children, refugees, Indigenous peoples, disabled people, and many others — who are often overlooked, and sometimes face discrimination as they try to access and manage the safe water they need. Activities included in this event are a career fair, a water student research poster exhibit, and water student research lightning talks. There will also be a panel, “Exploring solutions to the Indigenous water crisis in Canada” with speakers including are Chief Linda Debassige, Lydia Hwitsum, Deborah McGregor, and Kelsey Leonard. Bob Rae, former Ontario Premier, will give a speech titled “What the challenge of clean water at home and around the world tells us about ourselves, our country, and our planet” to close the event. In order to make World Water Day a success, the Water Institute is looking for 10-15 volunteers to help execute the event. Volunteers are needed on the day of the event to help with tasks including set-up/take-down, greeting exhibitors and speakers, running the registration and/or food tables, and technical support during morning/afternoon plenaries, etc. Interested University of Waterloo students can email Allie Dusome (adusome@uwaterloo.ca) with their availability to volunteer during the day (morning, afternoon, or all day). The students of the Water Institute Graduate Section (SWIGS) are also, once again, hosting Waterloo’s annual World Water Day Photo Contest. Further information on the contest, the event, and how to register can be found at uwaterloo.ca/world-water-day/.